Maude playing the pan flute in her most iconic role, ca. 1905. Me at Disneyland in 1955. I’m the guy with the pants looking for my missing C ticket. Also on this day, just two years later (July 17, 1955), Disneyland opened in Anaheim, California. 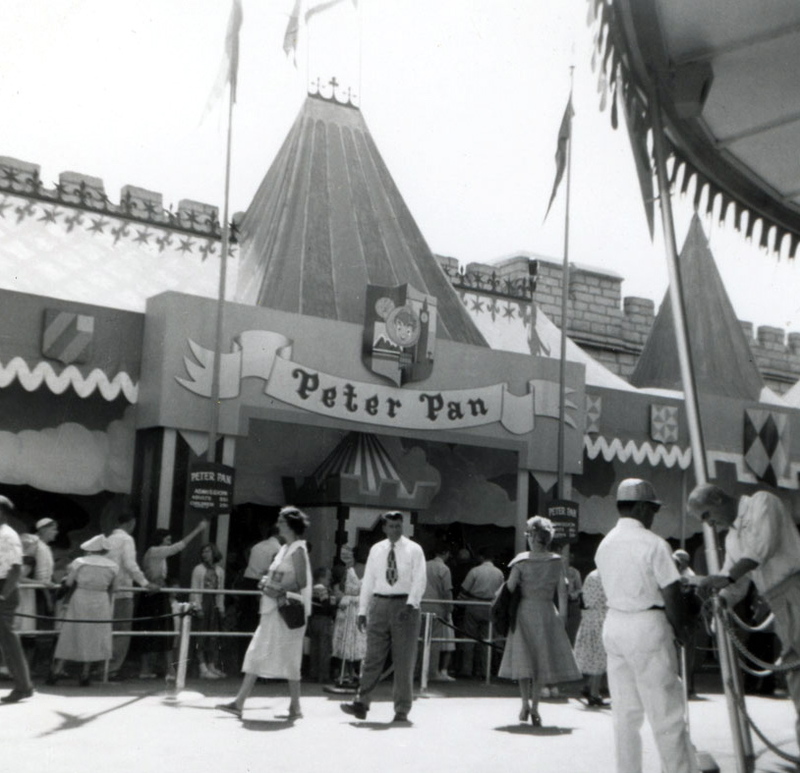 And one of the park’s most popular rides was, of course, Peter Pan–based on Disney’s 1953 cartoon feature of Barrie’s original play, released the same year that Adams died. Even to this day, the ride continues to be among the park’s 10 most popular attractions. Interestingly, the original design had guests flying through and over various scenes from the story as if they were Pan himself. 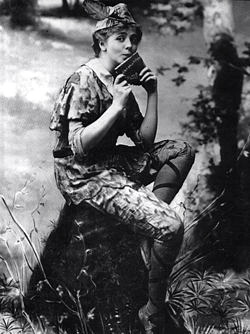 As a result, Peter Pan was never actually seen during the ride. Apparently this concept was lost on a few too many visitors, so in 1983 the ride was redesigned with the titular character more prominently featured. In any case, Peter Pan lives on in a way… though at Disneyland in 1955, the resurrected Pan cost each rider a highly valued C ticket (35¢). Today the privilege of seeing Mr. Pan at Disneyland will put you back $92 for a 1 day park pass. Meanwhile, back in 1905, you could get a glimpse of Ms. Adams from the upper balcony of Frohman’s Empire Theatre for a mere 50¢–a front row orchestra seat would cost you $1.50.